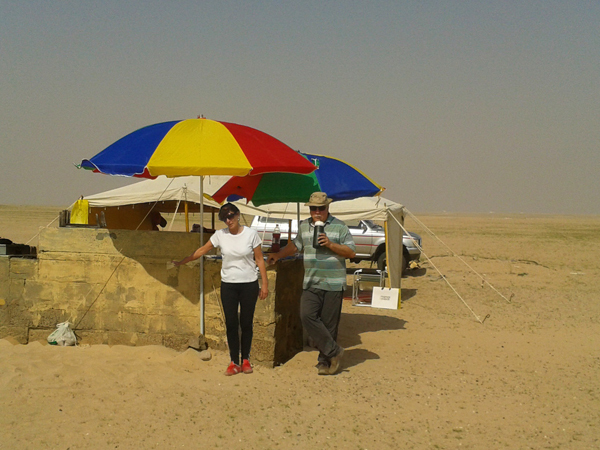 Origins of La Brasa: Silvia and Gustavo Ferrari are seen in this photo posing in front of their grill of their camp in the northern Kuwaiti desert while waiting for the guests to arrive on a Friday in November 2012. 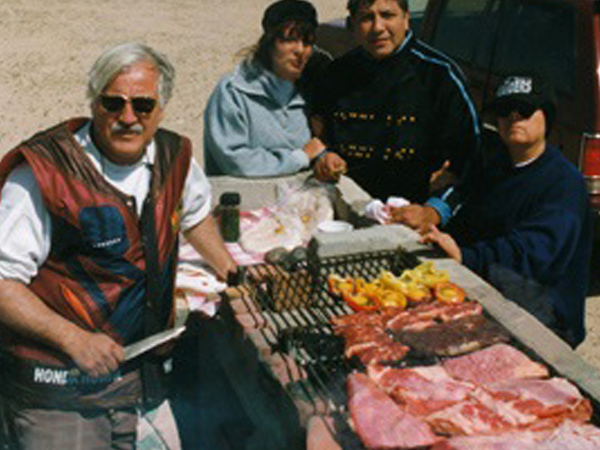 From left to right: Gustavo, managing partner of La Brasa, preparing a barbeque for 25 persons at his desert camp in northern Kuwait in 2001; Silvia Ferrari, and Pepe and Irma Flores, visiting friends from Argentina. 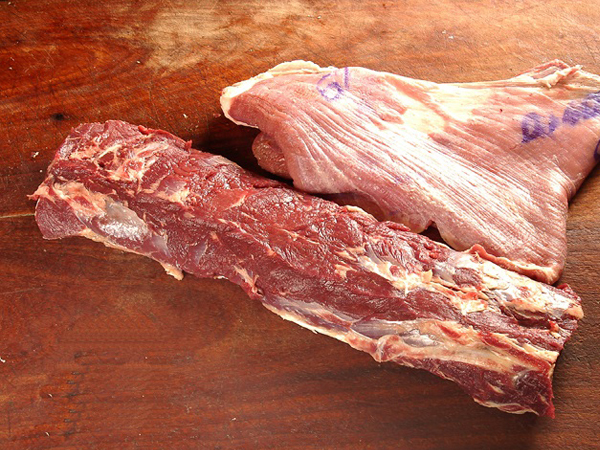 La Brasa imports pure grass-fed Argentinean beef. 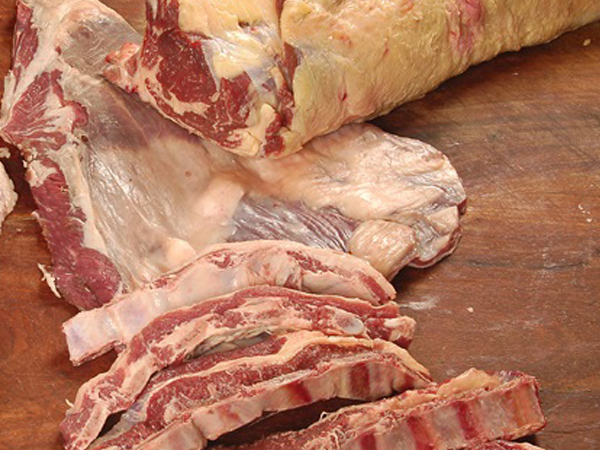 Halal certified beef in the traditional cuts used in Argentina. 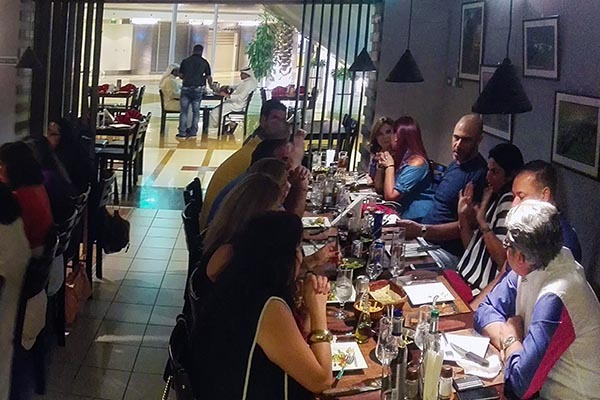 Groups of friends book tables at La Brasa to enjoy the “Parrillada” (all you can eat Argentinean buffet) and spend fun time in a homey atmosphere. 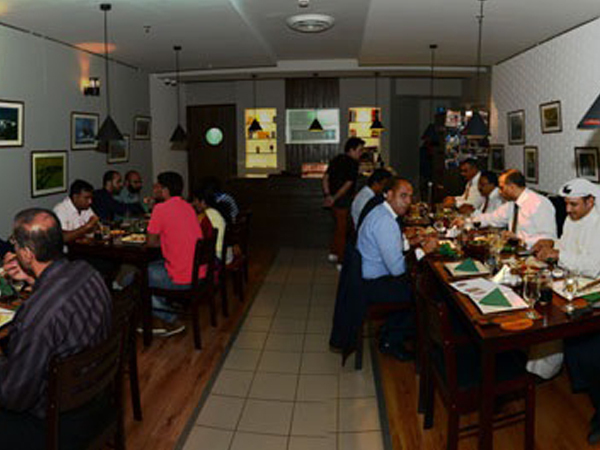 Many diplomats are regular customers. 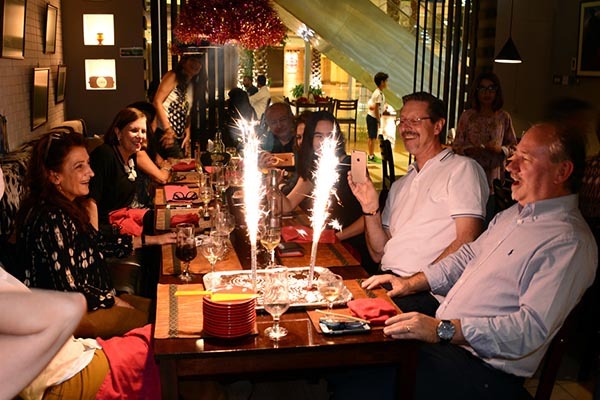 In this photo all the Spanish speaking ambassadors in Kuwait gather in La Brasa for a farewell dinner. 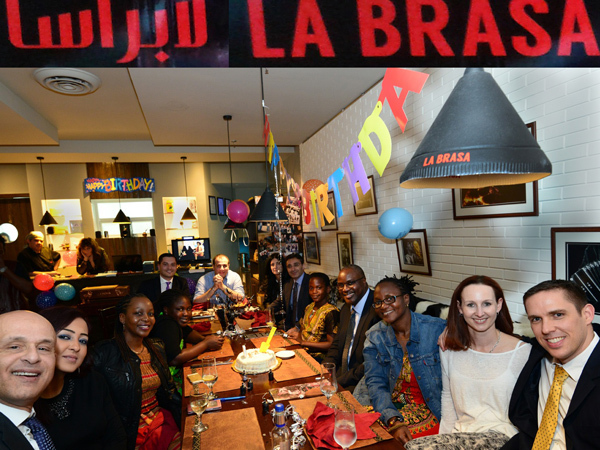 Groups of friends and work colleagues celebrate birthdays at La Brasa. 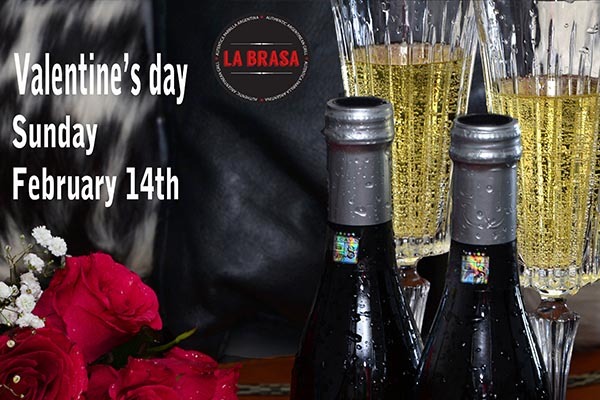 La Brasa provides a romantic setting for Valentine or anniversary dinners. 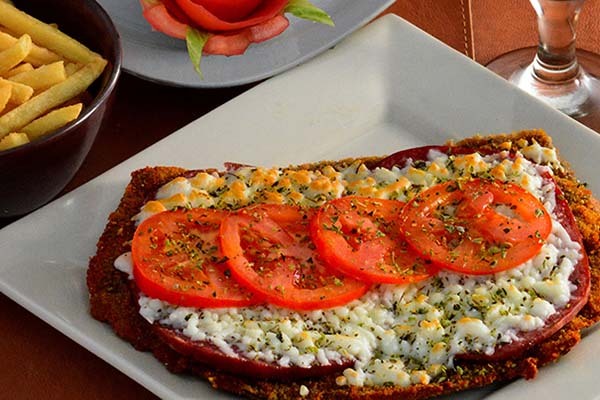 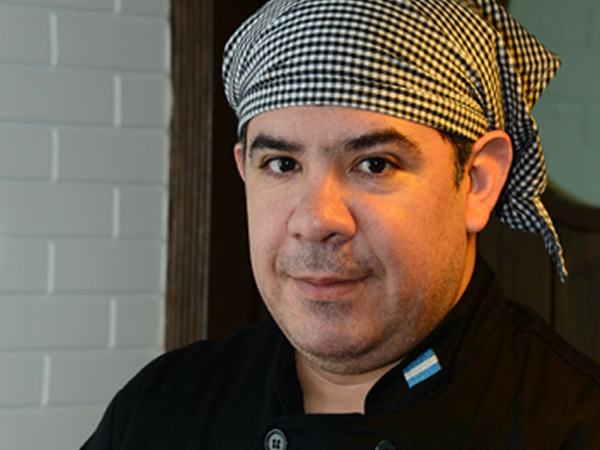 La Brasa provides a different experience in home catering. 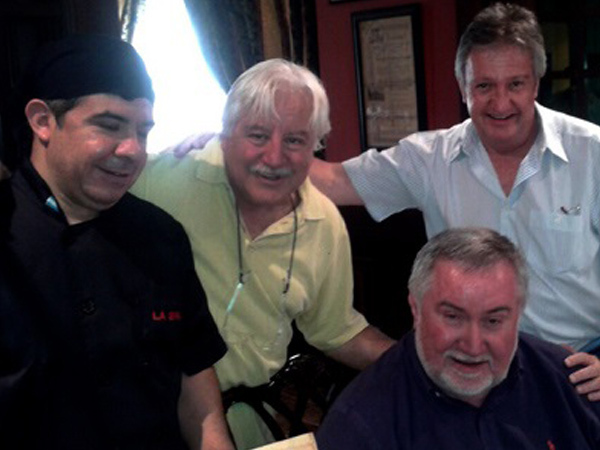 Here is this photo, from left to right, chef Americo, Gustavo Ferrari, Mr. Kevin Burke and H.E. 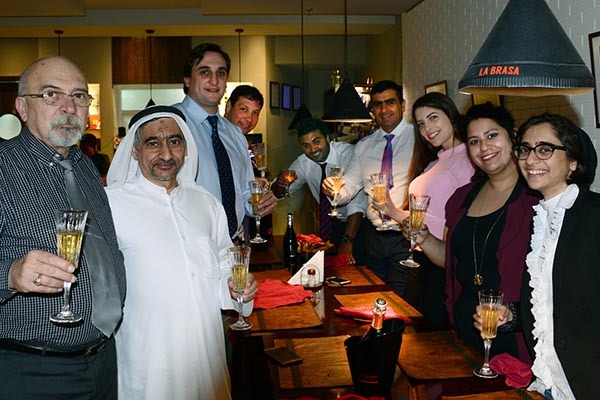 Luis Alberto Barrero Stahl, Ambassador of Mexico, celebrate the first home catering in Bneid Al Gar. 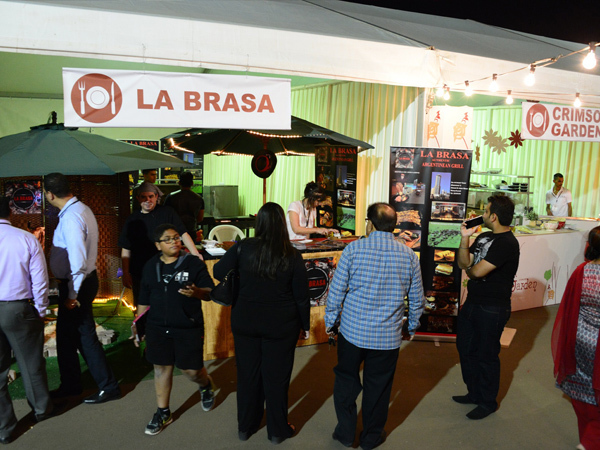 La Brasa participated in the Taste of Kuwait Food Festival in Mishref Fairground on March, 2015. 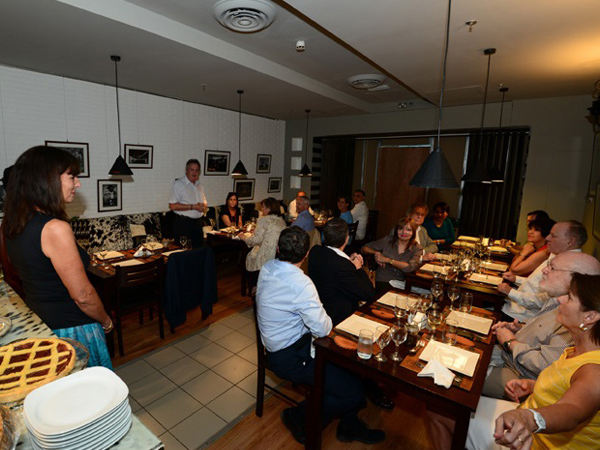 The typical Argentinean cooking attracted lots of attention among the visiting public. 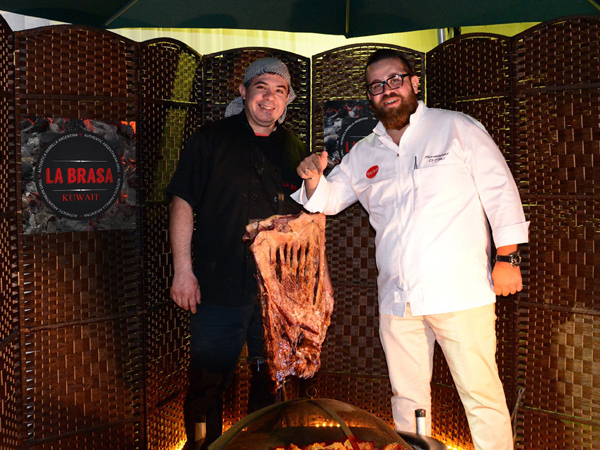 Chef Mohammad Orfali, right, Executive Chef at Fatafeat, the Food Channel of the Middle East, stands with chef Americo by the fire pit cooking a full rack of beef ribs at the Taste of Kuwait Food Festival. 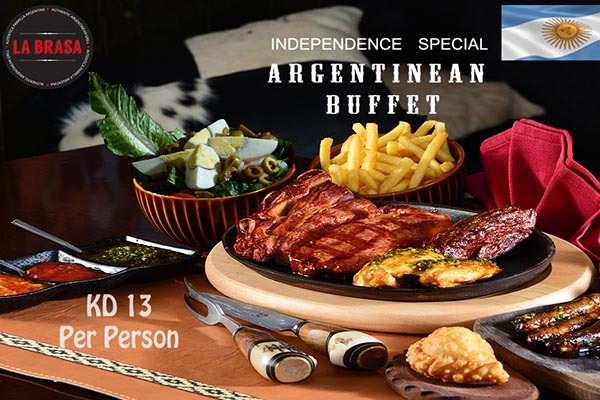 Argentina celebrates 200 years of independence in 2016. 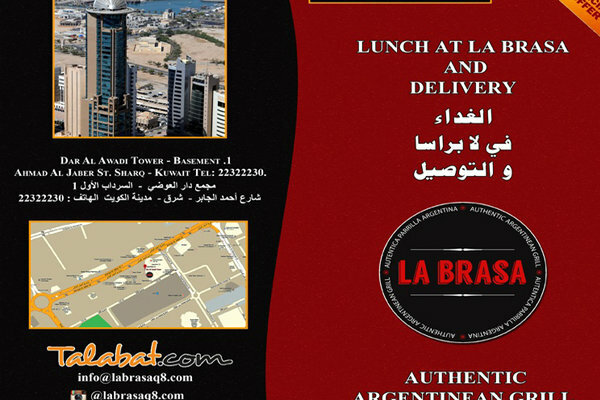 La Brasa launched this promo for the occasion. 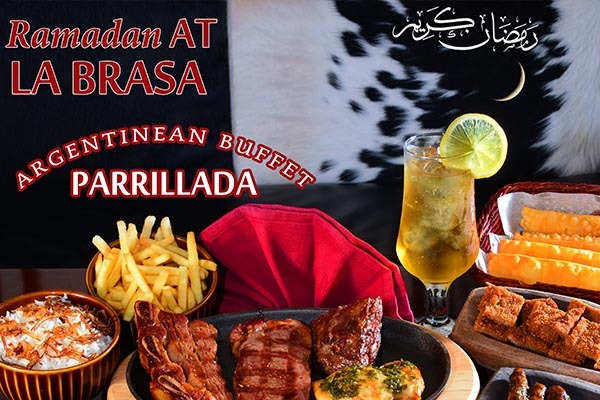 Ramadan and Eid promotion: Buffet all you can eat. 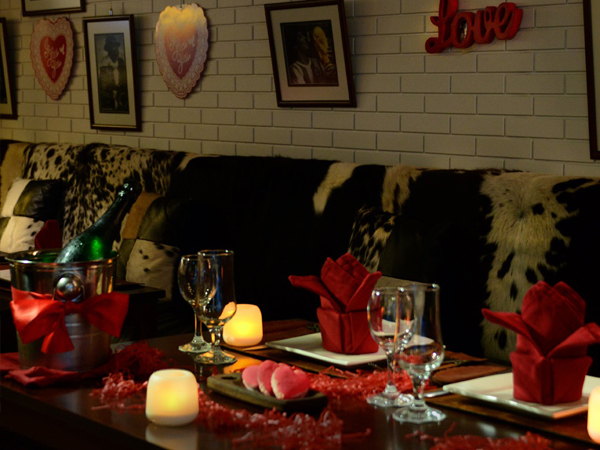 Valentine’s Day promotion: N/A Champagne, red roses and Love’s heart Alfajores. 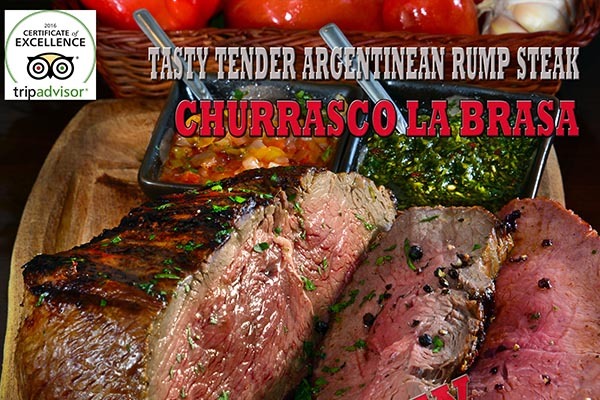 New: Churrasco La Brasa: Tender and tasty Argentinean beef Rump steak. 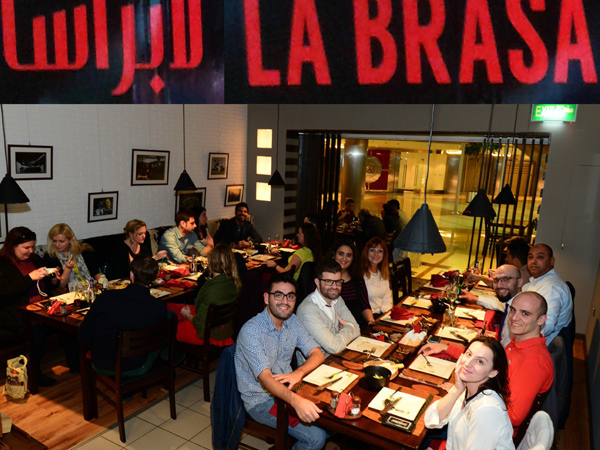 All the Latin-American Ambassadors in Kuwait gathered at La Brasa Argentinean Grill for a camaraderie lunch enjoying La Brasa’s Parrillada. 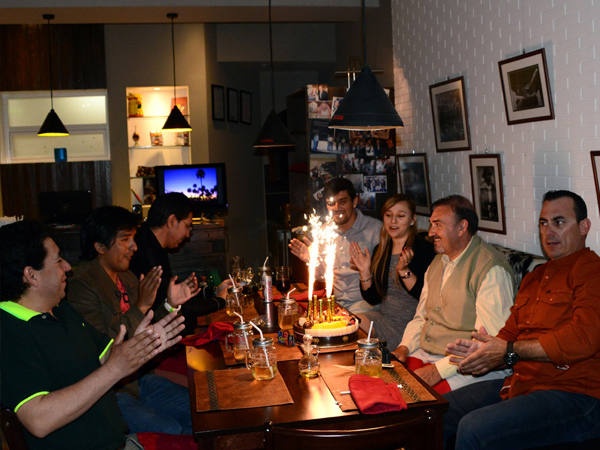 From left: H Excelencies Miguel Angel Isidro, Mexico; Heli Pelaez Castro, Peru; Jorge Biga, Argentina;Hadel Mostafa Paolini, Venezuela; Oscar Mazier Aranda, Nicaragua; Andres Gonzalez Garrido, Cuba; Nelson Valencia, Honduras and Antonio Carlos Do Nascimento Pedro, Brazil. 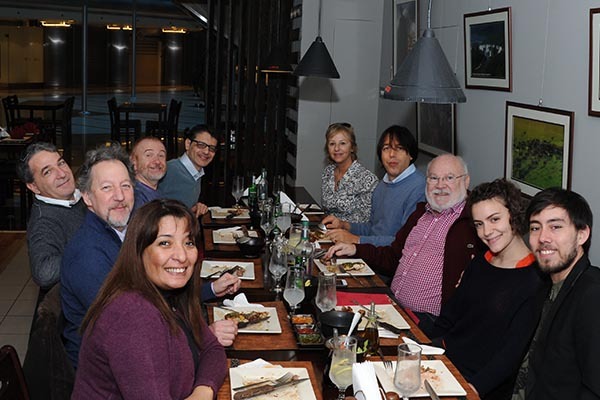 Argentinean Ambassador HE Jorge Biga (third from the right) hosted a Parrillada lunch at La brasa with members of the Embassy and the tango orchestra “Los Tangueros”. 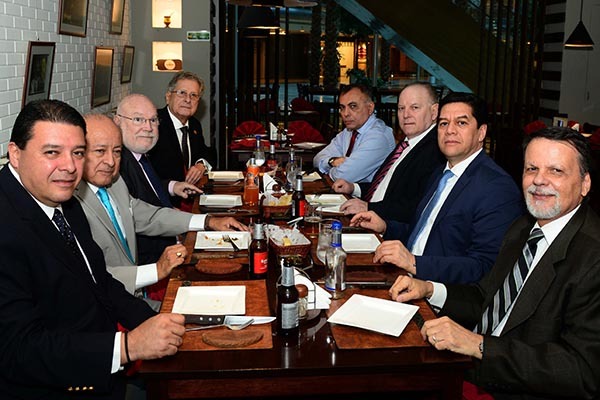 Uruguay-Arab Chamber of Commerce’s delegation headed by the Secretary General Mr. Eduardo Sierra (first from the left) gathered at La Brasa enjoying the Argentinean Parrillada. 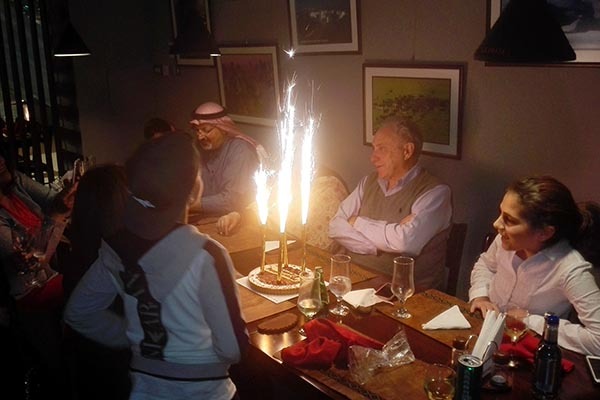 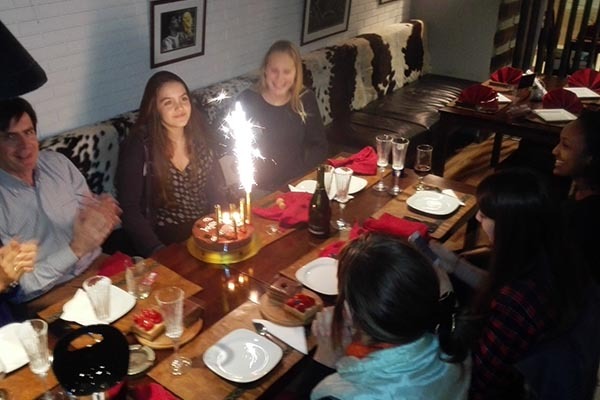 Groups of friends and family celebrate birthdays and festive events at La Brasa. 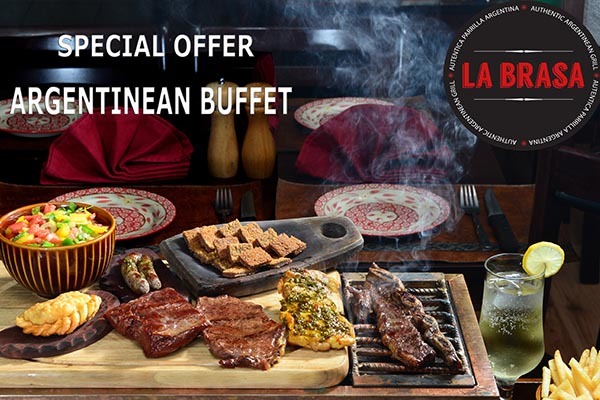 All you can eat Parrillada offer.